For those with tile floors in high traffic areas a popular question is, how to clean tile floors with vinegar and baking soda? 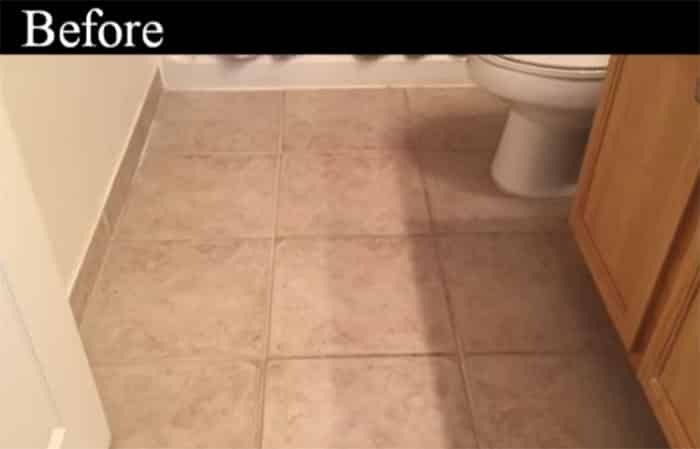 If cleaning floor tiles is the biggest nightmare for you, this article will guide you with some smart tricks on cleaning tile grout and stubborn stains with few available supplies in your kitchen. Below we’ll cover whether or not baking soda and vinegar can really clean tile and grout, as well as materials needed and cleaning tips. Vinegar can be a beneficial ingredient if you know what and how to use. Apart from other known advantages, vinegar can dress up your floor tiles to wash away the dirt or the grime engraved. 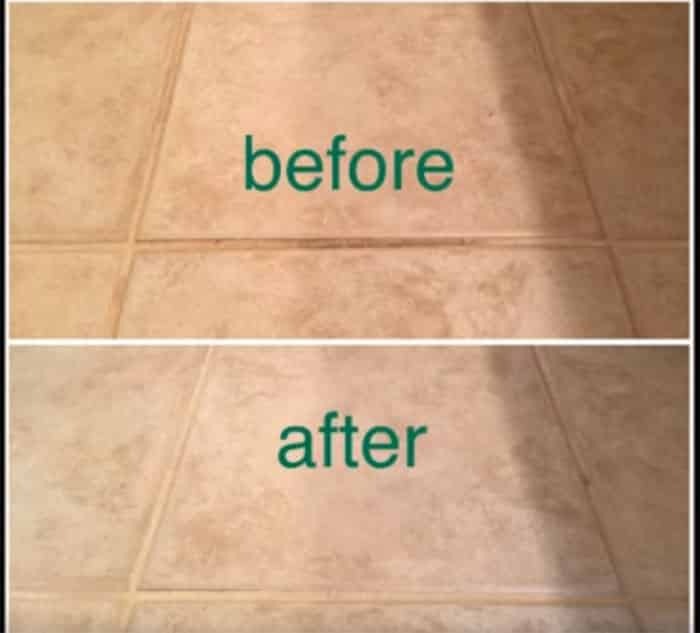 Added baking soda to vinegar, will give you the most effective results to shine your floor tile with less hassle and certainly at a remarkable less expensive cost. 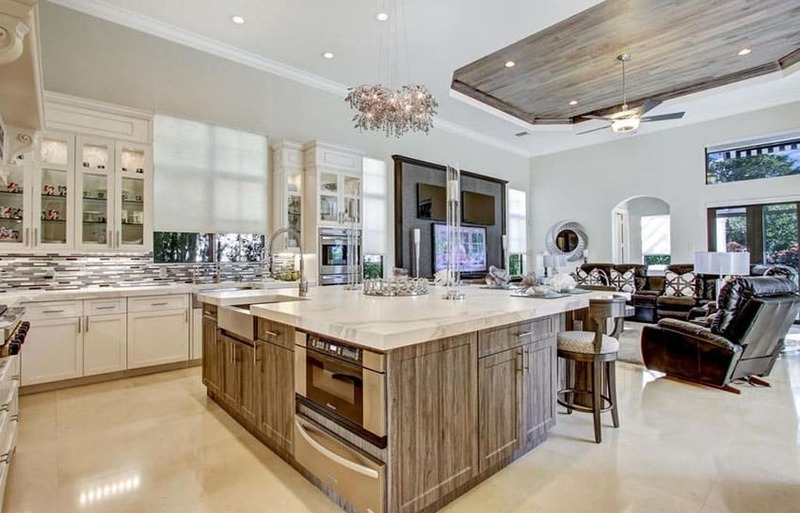 Using a mixture of vinegar and baking soda can help clean a variety of types of tile flooring surfaces but should not be used on many types of natural stone. Before we go any further it’s important to answer the question of whether vinegar is harmful to floors? Generally, vinegar is not a harmful substance on most types of floor tiles but it can damage certain types of floor tiles too. For an example, vinegar perfectly blends for use with cleaning vinyl, ceramic, or laminate flooring. Although vinegar should not be used for natural floor tiles such as marble, travertine, limestone or onyx. Generally, vinegar is strong enough to wash away stains, grout and other types of dirt on tile flooring but milder enough not to damage the floor. When combined with baking soda the mixture can be quite effective at removing dirt and grime. This DIY cleaning technique is budget friendly and works surprisingly well for areas in the home such as the bathroom, kitchen, living room or entryway. Brush – Life can be pretty easy if you purchase a grout brush or a scrub brush. Or a new toothbrush would work all the same to clear out the grouts or the grime. A mop would come handy to clean the surface smoothly as for the first round. But to really get into the business, remind yourself to purchase a brush for better results. Important: If you opt for a scrub brush, remember to go for soft bristles otherwise it could end up damaging your floor tiles. Spray bottle – Having a spray bottle will get you more organized along the cleaning procedure. Just a spray, and you are ready to wash away the grime with a grout brush that stained your floor tiles for too long! Distilled White Vinegar – Made from sun ripened grain and water this type of vinegar is widely available at grocery stores and big box stores such as Walmart. 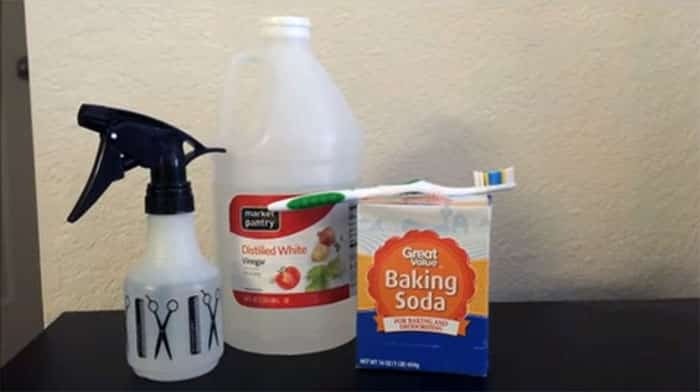 Baking Soda – Sodium Bicarbonate or baking soda can be used to replace many toxic household cleaners with great results. It can be found at your local supermarket or big box stores. Mop/Rag– A mop or old rag is used to wipe away the excess dirt and grime so it doesn’t resettle back in to your tile or grout. Gloves – You may want to use gloves to protect your hands while cleaning especially if you are known to have sensitive skin. Step One – First of all, remember to sweep off your floor with a broom and clean the surface well. Use the vacuum cleaner in addition, to clear out the remaining particles. Step Two – Combine equal amounts of vinegar and warm water as for the mixture. Let the mixture sit for few minutes and stir well. And, you are ready to go! In addition, to clean floor tiles with vinegar and baking soda, make a paste of both ingredients, vinegar and baking soda and leave it aside. Spray off the solution of vinegar and warm water first and then if you want, apply the paste of vinegar and baking soda into the floor tiles and grout. Step Three – Clean the floor tiles with a mop, as for the surface floor tile cleaning. But use a brush to clean out the grout particles. Repeat the process, where necessary. Step Four – Finally, rinse off the vinegar as for the second round with warm water to wash out the vinegar and baking soda left on the floor tiles. If not washed properly, the addition of vinegar and baking soda will cause to leave lumps on the floor tiles. And do not leave the vinegar to sit on the floor for too long. Remember to rinse off the floor well with warm water. Mixture – For effective results; For the solution, ½ cup of water and ½ cup of detergent with 1 ⅔ cups of baking soda to be stirred and mixed thoroughly with 2 tbs of white vinegar. Add the mixture to a spray bottle. Spray on the floor where necessary and mop it off and scrub the floor well. Finally, rinse off the solution with warm water. And, you are ready to go!